This Terenez seaside blond beer has a perfect balance between hops and grains. 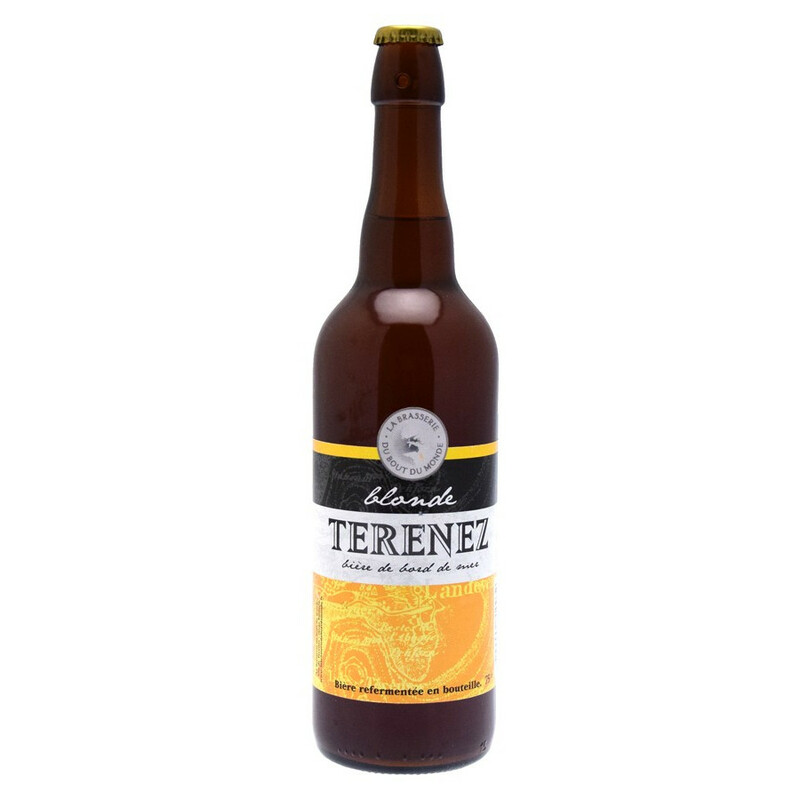 A grain field in bottle for a refreshing, round and slightly hopped beer. This beer can be serve with corsecan deli meats, Bayonne ham and auvergnat sausage. Best to serve between 3 and 4 degrees. Ingrédients : water, barley malt, Aramis and Saaz hops, yeasts. Belgium - Belgian Beer Challenge - Gold Medal 2015.